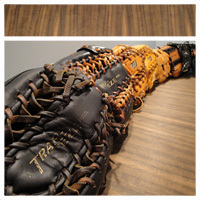 ...that any glove posted in the Marketplace be identified in the subject line as "LHT" or "RHT?" Would make things so much easier. Lefties were spawned by the devil himself and do not warrant any extra help. Pure, unadulterated evil. You can spot them anywhere because they walk crooked and smell like sulfur. lets assume all gloves are RHT, and just specify in the title LHT, if it is. Everyone is born right handed, only the best of us overcome it. I play sports right handed but eat, write, and brush my teeth left handed so what does that make me? My own son (a righty) bats left handed and it tears me up inside. I taught him to when he was four, and now I realize that I sold his soul to the devil just to give him a better shot at being a great hitter. I've resigned myself to eternal damnation, and the real dagger in the heart is that he seems to be leaning more toward soccer as his favorite sport in spite of my sacrifice. Hah, I try to get my nephew to only pick up and throw with his left...not sure it will work, but its worth a try. Funny, I can switch hit, but find its meanless as a lefty. Barely get a chance to do it. 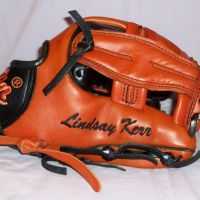 I wished more sellers would state where the gloves are made.